We work with just about every warranty company on the market, so no matter what warranty you have, our team is ready to help you out. 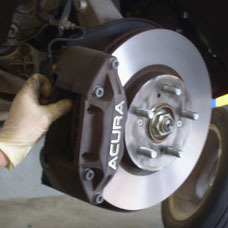 See our current auto repair coupons and save money today. The Latest Trends in Light-Duty Truck Maintenance. 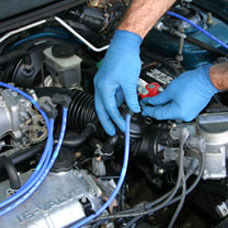 full service We are full service auto repair shop offering preventive and reactive maintenance service. We have ASE Master Certified Technicians and Mechanics with degrees in automotive technology. We service and repair all makes and models of domestic, european and asian vehicles. Bring in your auto, SUV, or pickup today with complete confidence that your vehicle will be serviced correctly and professionally while maintaining your manufacturer’s warranty. repair warranty We stand behind our workmanship and materials with our warranty. Our workmanship and parts are guaranteed for 12 months or 12,000 miles, whichever comes first. One of the best feelings when you walk out of our shop is the security and good word of our JR Auto Repair Services warranty. We guarantee your satisfaction with any repair or maintenance. For our company, customer satisfaction is a prime concern. financing available Our customers will find comfort in knowing they can afford their repairs. Our financing program helps our customers to get an affordable way to pay for their products and services. Whit this program our customers get ability to break down their total cost into affordable monthly payments for those customers who may not be able to afford the full cost of their products or service today. Our professional and reliable mechanics will come to wherever you are in Virginia and the greater Washington metropolitan Area. Stop wasting your time waiting at a repair shop. Call JR Auto Repair for an auto repair quote, or book a mobile mechanic service to diagnose the problem at your location. Our expert mechanics will perform all available services in the convenience of your own driveway or office parking space, with minimal disruption to your day. 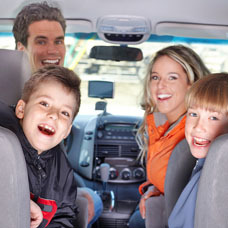 Let our knowledgeable and reputable staff take care of your auto repairs so you can enjoy more fun activities! or make click on the link below. maintenance You don't have to be an expert to know that preventive maintenance is the best way to make sure your vehicle is running properly. Vehicles are machines and, over time, machines break down. Preventative maintenance helps to prolong the life of your vehicle. 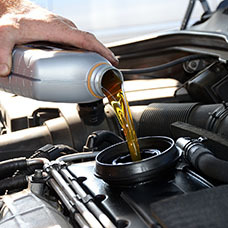 Our professional technicians are trained on preventative maintenance measures like fluid exchange, fuel system cleaning, filter replacement, oil change, state inspection and much more. maintenance if you forgot to perform a preventive maintenance to your vehicle, don't worry, your problem has a solution. If your check engine light comes on, we troubleshoot it, and diagnose any other automotive concerns. We have years of experience working on both domestic and import vehicles of all makes and models and we can work with you to find cost effective repair alternatives. Extended Warranty Service Repair Services for Extended Warranty & Service Contracts. If you have any sort of extended warranty or service contract on your vehicle, JR Auto Repair Service is your go-to service center for all your repair needs. Are you not sure if your needed service is covered? no problem, we can check out your vehicle and call your warranty company to push for coverage and this service is free of charge to you. We work with just about every warranty company on the market, so no matter what warranty you have, our team is ready to help you out. We can work with your insurance company or give you direct competitive pricing and quality workmanship is always priority number one! Preventive maintenance helps to prolong the life of your vehicle. When it comes to avoiding potentially expensive automotive repairs, there are steps you can take to protect your investment and your pocket.